Tim is passionate about delivering value for organisations by realising the benefits of improved customer relationships. And he is zealous about creating organisational cultures and environments in which this can happen. From the start of his career working for mutuals in the financial services sector he has adopted this approach and it has produced positive results. He has leadership experience in sales, operations, contact centre and programme management. He was Head of Organisational Culture and Employee Engagement at Britannia Building Society and led the programme which resulted in the organisation being ranked 2nd Best Big Company to work for in the UK in the prestigious Sunday Times Best Company Awards. Following the merger with Co-operative Financial Services he was instrumental in creating a new culture for the combined organisation. 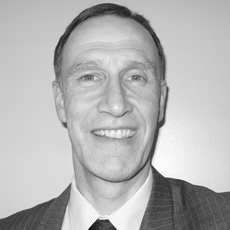 Tim specialises in culture assessment, customer experience and employee experience assessment and measurement. He provides deep insight to clients which enables programmes to be designed and delivered to embed genuine change. He is a qualified Executive Coach. In the recent past Tim has worked with Oldham Council, Housing Plus Group, Open University, Co-operative Banking Group, Network Rail, The Royal Free Hospital, Royal & Sun Alliance and Northern Gas Networks amongst others. “Fair, balanced, objective and genuinely interested in those he works with. I would recommend Tim to anyone who is looking for a leader who is collaborative in his approach and sensitive to the situation and those impacted by the change”. “Tim always has the customer at the heart of everything he does and delivers, and has incredible insight into the part that employee engagement plays in delivering the right experience to produce real commercial outcomes”. “Tim was always the ultimate professional demonstrating a wealth of knowledge and practical skills in the area of employee engagement and organisational development. Tim embraced and understood the creative solutions developed and his superb organisational and visionary approach made the working relationship an absolute joy”. “It’s always been a pleasure to work with Tim as I’ve not met many people with his manner, values and professionalism. These run through everything he does. He’s also fanatical about everything he becomes involved with and shows a real passion for the people around him”. We work with organisations to help them to develop high performance cultures. "We can help if you want to improve the experience you provide to customers, accelerate your employee engagement capability and create the necessary organisational alignment to ensure success."